Know any folks out there interested in rhetoric? Communications pedagogy? Research into professional communication and/or literacies across media? MIT’s Program in Writing and Humanistic Studies in the School of Humanities, Arts and Social Science seeks to appoint a distinguished scholar in rhetorical studies at the rank of tenured associate or full professor to start in the Fall of 2012. Candidates should have a Ph.D. in rhetoric or a relevant field of interdisciplinary rhetorical studies, with a distinguished record of publication, broad experience in developing innovative college level courses in rhetoric and communication; and a record of funded research in one or more areas of communication education or media literacy. The candidate will work collaboratively with colleagues in the Programs of Writing and Humanistic Studies, Comparative Media Studies, and Literature, while providing faculty level support for MIT’s educational programs across the disciplines at MIT. Relevant areas of specialization include the history, theory and critical tradition of classical rhetoric; contemporary rhetorical studies in one or more academic or professional disciplines or fields of study; and oral presentation, visual studies, digital humanities, narrative, and media studies. MIT is an affirmative action, equal opportunity employer. And here is where one would submit an application. So — if this big and broad community has some among it, or some in its circle of acquaintances who might be interested…come on down! And, of course, use this thread to spread the word about jobs you seek and/or jobs you know of. 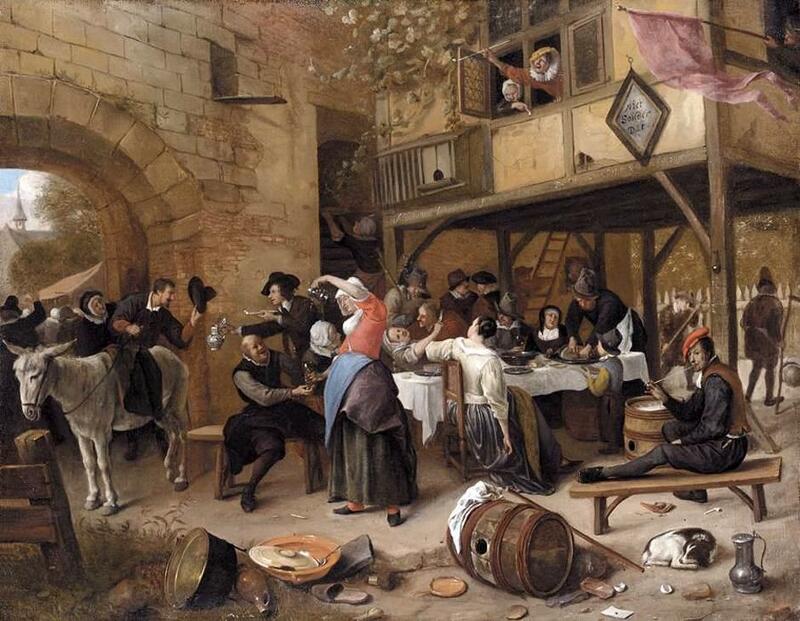 Image: Jan Steen, Feast of the Chamber of Rhetoricians near a Town-Gate, before 1679.